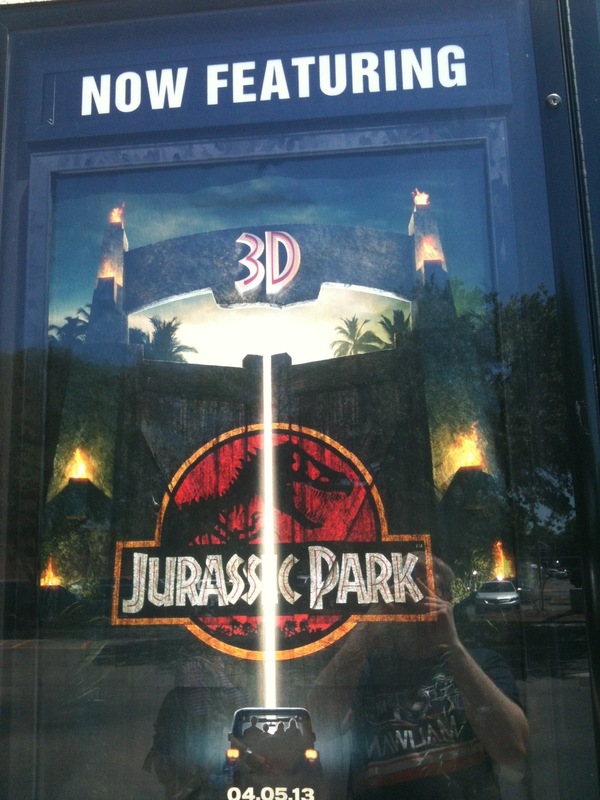 Before heading to Tampa Bay Comic Con I went to see Jurassic Park – 3D in IMAX at my local theater. The opportunity to relive my youth and experience one of my favorite films on the big screen was something I been looking forward to since I saw the trailer back in November before Skyfall. I have seen Jurassic Park more times then I can count. I consider the film a watershed in my geekdom when I went from a youth who liked popcorn and cartoon movie to being captured by the power of being in a dark theater and getting lost in a thrill ride of wonder and adrenaline. JURASSIC PARK IS WHY I LOVE MOVIES AND WILL ALSO LOVE GOING TO THE THEATER. Sorry for the screaming but need to be said. The films still holds up well on the big screen and the added 3-D enhances the experience without distracting from the dinosaurs visual.